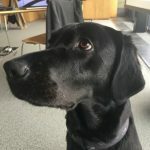 Epica is our first canine blogger (it was only a matter of time) and the figurehead for the EQUATOR Network Publication School of 2016, who worked together to publish this blog as part of our blogging workshop at #EQPubSchool on 30 June 2016. Our thanks to go all of the participants: Angela Boland, Cathy Scott, Enrique Garcia Artero, Géraldine Drevon, Hend Elsayed, Janette Greenhalgh, Jean-Sébastien Persico, Juah Lee, Kaori Suzuki, Kun Hyung Kim, Laura Lucas, Louise Niven, Luis Eduardo Fontes, Marta Balinska, Peter Heine, Roberta Caixa, Signe Sørup, Torø Graven, Venessa Vas and Yukiko Neff. Thanks also to Caroline Struthers, Iveta Simera and Jennifer De Beyer for helping make the event such a success.